ANKARA, Turkey — Turkey’s defense minister said Friday there is no turning back from his country’s decision to launch a ground assault on a Syrian Kurdish-controlled enclave in northwest Syria, saying the offensive had “de facto” started with the sporadic Turkish military shelling of the area. Nurettin Canikli told Turkey’s A Haber television in an interview that the Syrian Kurdish fighters in the enclave of Afrin and other Kurdish-controlled territories pose a “real” and ever increasing threat to Turkey. 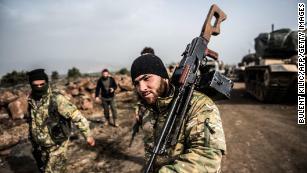 “This operation will take place; the terror organization will be cleansed,” Canikli said in reference to the Syrian Kurdish group, the People’s Protection Units, or YPG, which Turkey says is an extension of an outlawed Kurdish rebel group that is fighting inside Turkey. Turkey wants to remove the threat from YPG group and thwart the establishment of a Kurdish corridor along its border. It has been massive troops and tanks along the border in past weeks. The US however has developed close ties with the YPG over the shared fight against the Islamic State group. Canikli said Turkey was determined to carry out an offensive in Afrin, and would not be turn back from its decision. 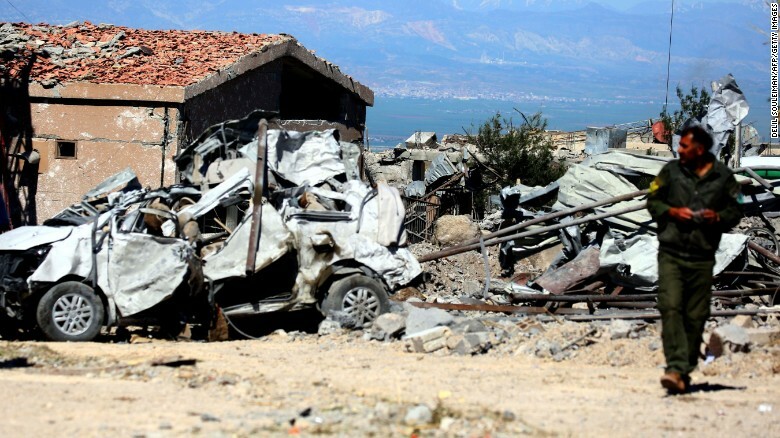 He said the operation had “de facto” begun, in reference to Turkish artillery attacks that have been taking place against suspected YPG targets. He would not say when the operation would take place saying authorities were working out the best timing for the assault. They were also working to minimize possible losses for Turkish troops, he said, without providing details. Canikli said the operation would be conducted by Turkish-backed Syrian opposition fighters with Turkish troop support. Canikli also said Turkey had detailed information about the YPG’s military capabilities, adding that Turkey had developed sophisticated weapons since its last incursion into Syria in 2016 that were able to counter them. We reap what we sow. Many countries did not pay attention to the fact that maps need constant maintenance to prevent them from aging and rotting, and that relations between entities should be continuously repaired as well. The first condition of maintenance is to prioritize the notion of citizenship and to build a state that deserves to be called as such; which means a state of law and institutions, a state that guarantees equal rights and duties. Discrimination against citizens creates a hole in the map; a hole that allows the infiltration of winds and foreign influence. The ruler believes that power can silence the people forever. He has forgotten that the balance of power can be distorted and twisted and that the oppressed can grab any opportunity to take revenge. Grievances can make them jump out of the map. The ruler commits a fatal error when he gives power the last say and when he refuses to listen to people’s complaints or demands. He believes that he has an endless ability to silence them and that fear can make the wounded and the disadvantaged forget their injuries and the injustice against them. The worst scenario of all is when the ruler regards a group of citizens as a foreign body that was planted by destiny inside the map, and when he believes that the solution is to abolish the features of this group, separate it from its heritage, weaken its language and force it to gradually relinquish its identity. The call for holding an independence referendum in Iraq’s Kurdistan region on September 25 has ignited the Kurdish issue. Baghdad opposed the call. Iran rejected it. Ankara saw it as a huge mistake. The reactions of those parties are not surprising. Countries that have scattered Kurds across their maps following World War I, including Iraq, Iran, Syria and Turkey, can disagree over anything but on the necessity to abort the Kurdish dream of having an independent state. Masoud Barzani is aware of this truth. It is clear that the referendum will not lead to immediate measures. Lessons have taught Barzani to differentiate between dreams and illusions. He understands that rushing to completely leave the Iraqi entity could make the province an easy prey for major players in the region. It is widely believed that Barzani is hopeless over the future of Iraq as a whole, especially in the wake of the ongoing rivalries between the Sunni and Shiite entities. However, Barzani knows well that reviewing the borders involves major risks unless it is achieved under an international umbrella that sponsors a process of such size and nature. ISIS’ invasion of Mosul has accelerated the dismantling of the Iraqi entity. It has intensified conflicts between the Sunnis and the Shiites. It has also increased the distance between Erbil and Baghdad. Barzani knows that a Kurdish state in northern Iraq is a quasi-impossible dream. Yet, perhaps he is trying to consolidate the right to independence, even if it was not possible to be achieved in the near future. Some people believe that he is ready to accept a less-than-a-divorce formula. A formula that is based on confederate states that would save Erbil and Baghdad from being entangled in complex relations. However, such formula needs a dance partner. It needs a realistic partner in Baghdad. Without the presence of such collaborator, Baghdad might be pushed towards a new conflict following the fall of ISIS: a conflict that can be triggered in “disputed areas”, beginning with Kirkuk. Some people do not exclude an upcoming confrontation between the Peshmerga and the Popular Mobilization Forces, with all the consequences that may imply on the Iraqi and regional levels. 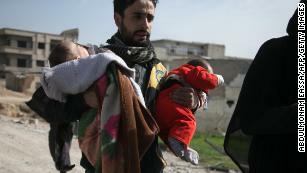 While talking about Iraq, one should not neglect the deep transformations taking place in Syria. Syria’s Kurds today are different from those who were living there six years ago when the war broke out. 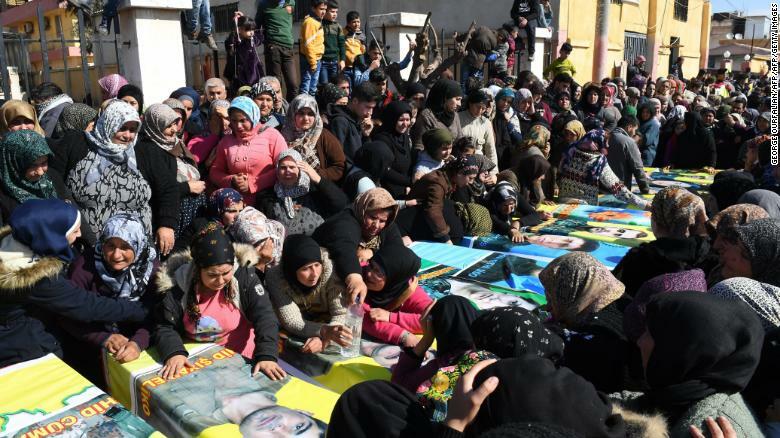 Syria’s Kurds did not rush to engage in the country’s uprising. They took the role of spectators and were preparing for the worst. ISIS’ insistence to target their areas has offered them several opportunities. Their victory in Kobani has given them a much longed-for legitimacy. The Democratic Union Party, led by Saleh Muslim, succeeded in militarizing a society that felt threatened. It was widely believed at the beginning that the Kurdish People’s Protection Units (YPG) has not cut its relations with the regime, and that the latter was able to manipulate it at the right time to suit its own interests. Nonetheless, the Kurds proved to be coherent forces at a time when the Syrian opposition was being struck on several sides. 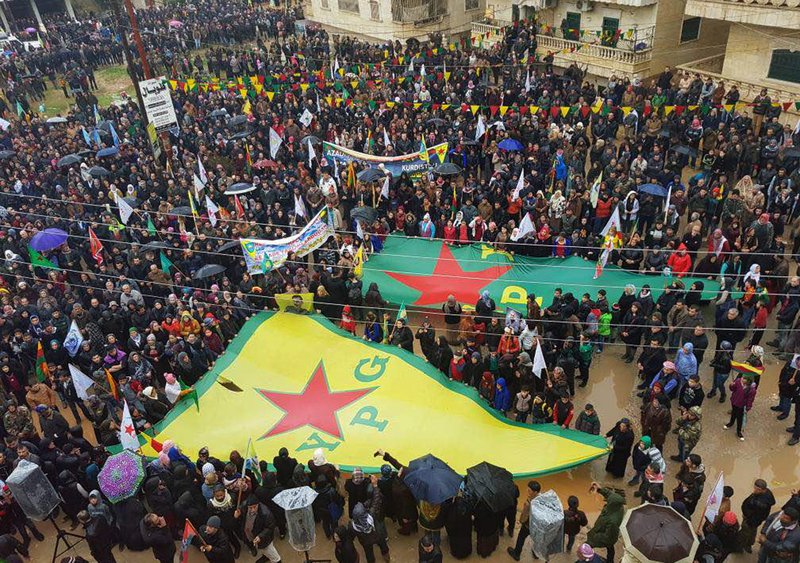 Syria’s Kurds have found a major role in fighting ISIS. They received training and arms. Washington was betting on their role, despite Erdogan’s anger and warnings. 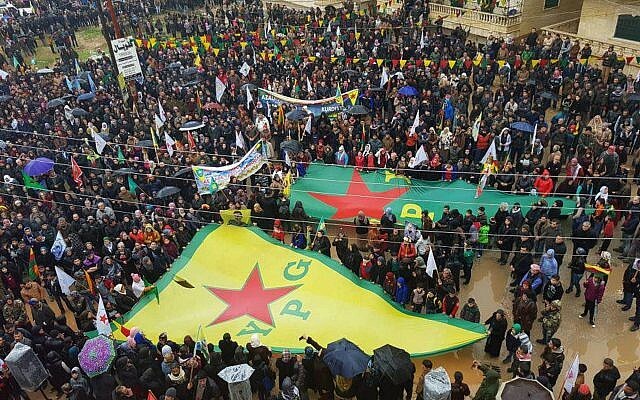 It is true that the Turkish Army succeeded in preventing geographic communication between Kurdish areas, but this did not keep the YPG from changing the landscape in several Syrian regions. Saleh Muslim says that the Syrian regime has practically collapsed. He means the single-party regime. He also says that it was impossible to revert to the pre-war situation in 2011. He notes that the Kurds will live in self-administered zones. The role of the Syrian Democratic Forces in Raqqa reinforces the belief that the Kurds will not have a marginal role. In the past century, maps were sketched on the detriment of the Kurds. It looked like they were confined inside the borders. Abstaining from treating the Kurds with equity while preserving our maps has led us to the explosion. It is clear that the Kurdish fingerprint will be seen when drawing the future of Iraq and Syria, which raises the fears of Turkey and Iran. Turkey will never allow the formation of an “artificial state” in northern Syria, Prime Minister Binali Yildirim said on Sunday, referring to the U.S.-backed Kurdish fighters whose advance Ankara is now aiming to stop. “We will never allow the formation of an artificial state in the north of Syria,” Yildirim said in a speech in the southeastern city of Diyarbakir, where he announced an investment programed to rebuild parts of the largely Kurdish region that have been destroyed by security operations. Turkey is fighting a three-decade-old Kurdish insurgency in the southeast and fears that the YPG’s advances will embolden militants at home. Turkey considers the YPG a terrorist organization and an extension of the outlawed Kurdistan Workers Party (PKK). Yildirim’s comments echoed those of President Tayyip Erdogan at the G20 gathering of world leaders in China, who told reporters following a meeting with U.S. President Barack Obama: “It is our wish that a terror corridor not be formed across our southern border”. Erdogan has repeatedly said that Turkey’s allies should not be making a distinction between Islamic State and the YPG as both groups pose a threat to Turkey. Separately, state-run Anadolu Agency said Turkish jets hit four Islamic State positions late on Saturday evening in Syria’s northwestern Aleppo province as part of the operation, citing security sources.